If you live in Marietta or the surrounding areas and are interested in improving the appearance of your smile with porcelain veneers, call the experts at Mansouri Family Dental Care & Associates. We are a comprehensive dental practice that offers a full range of cosmetic dental services including high quality porcelain veneers. Our dentists, Drs. Azita A. and Michael S. Mansouri, are highly trained and experienced in placing porcelain veneers that result in beautiful long-lasting smiles. Using this advanced cosmetic dental procedure, our dentists combine both art and science to create dazzling smiles for our patients. Serving Marietta, East Cobb and the surrounding areas, you can count on Mansouri Family Dental Care & Associates for top quality porcelain veneers and other cosmetic dental procedures. If you have gaps between your teeth or teeth that are discolored, misshaped or misaligned, porcelain veneers can be used to dramatically improve the appearance of your teeth. 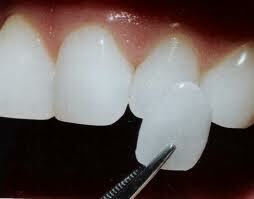 Porcelain veneers are thin, tooth-shaped shells that are custom made of porcelain. They are permanently bonded to the natural teeth in the front of your mouth to enhance their shape, color, length or size. If you are currently unhappy with the appearance of your smile or if you think it could be improved, schedule a consultation with one of our talented cosmetic dentists today to get more information about porcelain veneers. Restore your smile today with high quality porcelain veneers from Mansouri Family Dental Care & Associates. Our dental practice is currently accepting new patients and we would welcome the opportunity to care for you or a member of your family. Please contact our Marietta Porcelain Veneers Professionals today to schedule an appointment. We thank you for allowing us to take care of your dental needs and we look forward to exceeding your expectations.